After months of planning, a full-on bachelor party and hen-night, and a suitably memorable wedding celebration, no one would blame the bride and groom for feeling a little worn out. Luckily, Thailand’s favourite islands of Phuket and Koh Samui provide the perfect setting to chill out and unwind so you can return home rested, rejuvenated and ready to kick start your married life together. Couples staying in a private villa can also use the property as a base for a range of relaxing activities, from luxurious home spa sessions to indulgent movie marathons. 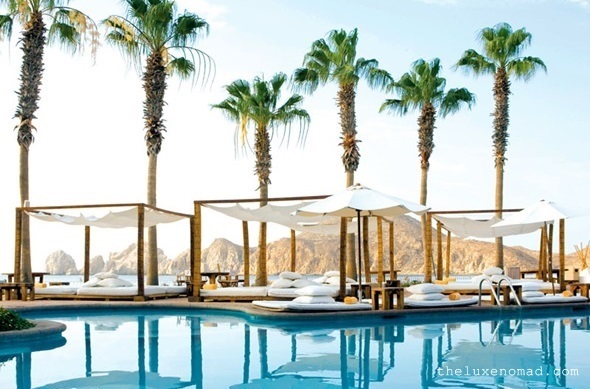 Below are a few tips to help you get into a relaxed, honeymoon groove. After spending the days running up to your wedding socializing with all of your family and friends, it’s likely that you’ll want some quality time alone with your loved one when the festivities are over. Enjoying the spectacular views from the plush comfort of a day bed at one of Thailand’s chic beach clubs is therefore an enticing prospect. On Phuket, Xana Beach Club in Bang Tao is great for a lazy day, with a menu that includes plenty of tantalizing treats for you to graze your way through the afternoon and evening. Over in Koh Samui, Nikki Beach is one of the most popular venues. This stylish club is situated on the island’s secluded and laid back Lipa Noi beach, and provides the perfect setting if you just want to get away from it all. There are few paths to relaxation and comfort quite as enjoyable as a massage and Thailand’s spa and wellness options are internationally renowned with islands like Koh Samui and Phuket recognized as hotspots for luxurious spa offerings, including a selection of couples’ treatments. Newlyweds staying in one of the island’s private villas may even enjoy access to their own private spa within the grounds of the property. The villa concierge will be able to arrange a professional masseuse to come to the villa and treat you and your loved one to a blissful aromatherapy massage. If the sound of the waves and the gentle bobbing of a serene boat ride sounds like the perfect route to relaxation, then why not consider chartering a private yacht? 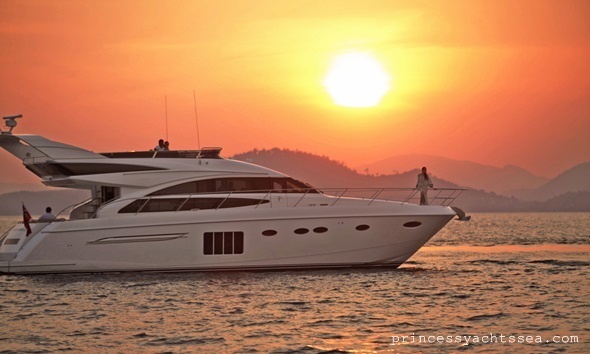 Phuket and Koh Samui are well-established destinations on Southeast Asia’s yachting scene, and each island offers a choice of charter firms. If you want to completely unwind, hiring a crewed boat is probably the best choice. You can explore the coast and take in the fabulous views as you lounge on the deck, sipping champagne. For some couples, snuggling up on the sofa with a good movie is perhaps the most wonderful way to spend the first day of married life. Many of Thailand’s private villas come with their own projector screens and some even boast mini movie theatres complete with top-of-the-line surround sound systems. For those that don’t have a Netflix account yet, many villas also boast their own digital entertainment systems and movie drives, so you will have access to library of thousands of films and television shows to choose from, all at the click of a button. For newlyweds who are still too full of the joys of marriage to sit still, a little post wedding retail therapy may be the perfect way to ease into married life. Thailand is well known as a shopper’s paradise wit a wide choice of options whether you fancy hitting the glittering designer malls of Phuket or the charming island boutiques on Koh Samui. Bophut Fisherman’s Village is the perfect place to browse local shops and pick up some authentic souvenirs to take to family and friends who couldn’t make it to your wedding. Meanwhile, over on Phuket, the Central Festival Shopping mall is a city-style multi-level retail hub with everything from global high street fashion brands to local handicrafts, and even a well stocked international department store.